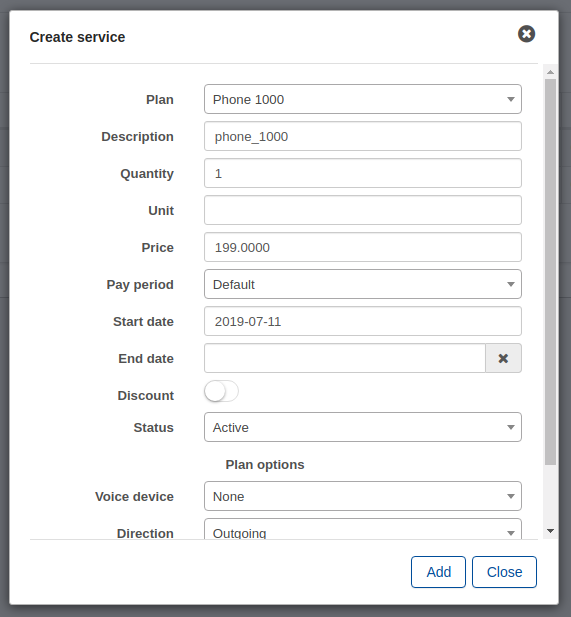 Why use Voice plans in Splynx? Charging clients monthly fee for voice services such as VOIP, Toll number, Number rental or Mobile plan. Processing of VOIP CDR. Splynx is able to process the CDR from Voice platforms, attach calls from CDRs to proper customer, create transaction for voice usage and make one common invoice for Voice services and Internet. 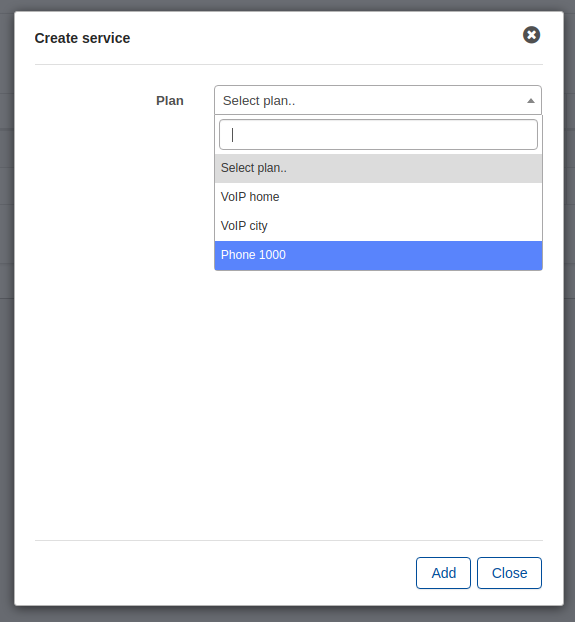 To configure the Voice plan, click on Tariff plans → Voice and click on Add plan. There are two symbols on the bottom left of the table. The first one on the left is used to copy, print the table and to export it in different formats: Excel, CSV, PDF. The second is used to modify the view of the table. After the creation of Voice plan, it is possible to associate the service to a customer. Click on Customer → List, select the customer, click on the tab Services and on the +. To get more information about Voice CDR processing, please, follow dedicated tutorial page.